area that is covered on every single class at our school. The basic premise of our approach is based on the fact that it takes many years of practice before a person can execute a good kick or punch. Therefore we consider critical to teach self-defense techniques to every person we come across. Just the fact that an individual takes a self-defense class reduces the probability of becoming the victim of an attack. Of course the more an individual learns and the more practice he/she has the higher the probabilities of protecting oneself and others. Hence, while we cover self-defense techniques in every class we also offer special courses where only self-defense techniques are covered. The standard curriculum of a self-defense class starts with empty hand grabs and progresses to the point of disarming an attacker and using his/her weapon as part of your defense. 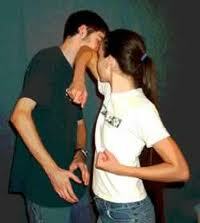 NOTE: SELF-DEFENSE CLASSES ARE FLEXIBLE. HENCE ALL WE NEED TO COORDINATE IS TIME, DATE AND LOCATION AND WE WILL MAKE IT HAPPEN. Great opportunity for schools, Non-Profit organizations (Religious, Community based, etc.) and many others to serve your community and members while raising funds for your operations. Those classes are normally advertised thru our Web Site and other social media venues.